The karmic patterns that concern us here are those running through the fabric of Christian history, specifically. Yogananda made it clear that Jesus, in his original teachings, placed little emphasis on outer religion—that is to say, on church affiliation and church rituals. Had Jesus intended to strengthen people in their outer affiliation, he would have tried to work with the rabbis of his times. Instead, he challenged them outspokenly. He stated that he’d been sent to fulfill “the law and the prophets,” but clearly that fulfillment didn’t embrace the rabbinical point of view. He could not have intended to fulfill “the law and the prophets” in an outward, institutional way, only to contradict himself by urging his followers to establish a separate church. The fulfillment of which he spoke was the deeper teaching of the prophets: the teaching of Self-realization; the inner “ritual” of communion with God in deep meditation. Paramhansa Yogananda, befitting his own mission to “bring back original Christianity,” named his organization “Self-Realization Fellowship.” He declared that SRF wasn’t a new sect: Its purpose was only to give renewed emphasis to an important, universal principle. To him, this name signified Self-realization for every soul through communion with God, inner fellowship (sat-sanga) with great saints and masters, and outward fellowship with truth-seeking souls. With the obvious purpose of establishing a new karmic pattern, he sought to prevent a re-enactment of what he considered the disaster in Christian history, by founding an organization dedicated specifically, even by name, to perpetuating these high ideals. The ancient karmic patterns, however, were already established, and powerful. Self-Realization Fellowship, in its short history to date, has already introduced many changes into his work. The founding ideals of the organization were clearly stated by Yogananda: in its name; in his “aims and ideals” (some of which, however, have already been changed); in his books; in countless lectures. His organization, unfortunately, found itself drawn by that old karma into the vortex of “churchianity.” By an irony of fate, the four principal directors, loyal disciples all—Tara, Daya, Ananda, and Mrinalini—were also former Mormons, raised in a tradition of absolute obedience to a supreme bishop, whose dominance is quite as absolute as the Pope’s in Rome. Does this mean that nothing can be done now to return Yogananda’s work to the spirit of individual freedom he intended? I understand from certain knowledgeable people Yogananda grieved over these matters in letters to his closest disciple, Rajarsi Janakananda. He warned Daya Mata, “How you all will change this work!” Perhaps he even hinted to me of the need for “fresh blood” when he said, “You have a great work to do, Walter.” Perhaps those words contained a subtle plea. For he said to me also, in May of 1950 at Twenty-Nine Palms, “Apart from St. Lynn (Rajarsi), every man has disappointed me—and you mustn’t disappoint me!” He certainly didn’t mean that all had disappointed him as disciples. We were talking then of the future of his work. His disappointment was that, whereas the spread of the work demanded more of an outgoing, masculine energy, no male disciple so far, except for Rajarsi, had understood the broad implications of his mission. I myself, before I was dismissed from SRF, was the only man on a nine-person Board of Directors. To Dr. Lewis he said, “No matter what you or I do, this work [that is to say, this mission] will follow a certain pattern, ordained by God.” What can those words signify, except a reference to karmic patterns? For Master would never have set his will against God’s will, and certainly he hoped that no true disciple would ever do so, either. God had sent him into this incarnation to change old, karmic patterns: to reinforce the bright threads, if possible, and to diminish or eliminate the dark ones. It must be understood, of course, that no one, however great, could change the whole tapestry. God Himself would never do that, for it would mean going against his own karmic law. God never treats human beings as puppets, making and remaking history without reference to their individual and national karmas. When Yogananda used the words, “ordained by God,” what he meant was, “ordained by the karmic law established by God.” Again, if Yogananda was sent to bring back original Christianity, and if he saw that karmic currents would actively oppose that divine purpose, he did not mean that those currents would win out. Quite the opposite! In one way or another, by one instrument or another, the purpose of his incarnation, divinely ordained, cannot fail. For this is, as I said, a new age—declared to be such by our own gurus. It is an age of energy. Jesus came at a time of descent into materialism and the entrenchment of people’s consciousness in solid forms and fixed dogmas. In the present age, albeit materialistic, people’s consciousness of matter itself is of the underlying reality of energy. Human understanding is lighter now, more expansive, less inclined to lock everything into fixed definitions and forms. I challenged Daya Mata on this point in 1990 at a meeting between SRF and Ananda in Fresno. I said, “Master cannot possibly have meant ‘Self-Realization Fellowship, Inc.’ He had to have meant Self-realization as a principle.” Daya replied, “That’s . . . your opinion.” Daya’s way of responding to every challenge has always been to suppress it. But no, Daya, it is not mere opinion! It is self-evident in Yogananda’s mission itself. He predicted that a new understanding would in time become the basis of all religions: a recognition that the purpose of religion is the realization of the one true Self of all beings, within. There has been a perpetual struggle in Christianity between inner, soul-aspiration and egoic desire for power, control, and worldly recognition. Judas betrayed Jesus because of his desire for money and worldly acceptance. The karmic “invitation,” however, to respond to these delusions was already woven into the tapestry of history. By that betrayal, the thread was woven also into that part of the tapestry which depicts the story of Christianity. Yogananda, in saying that the teachings of Jesus have continued to be betrayed, was speaking from his realization of God; he was not speaking as a historian. His statement was born of divine insight, not of scholarly logic. He also named the betrayer: “churchianity”—distinct, as he pointed out, from “Christianity.” It is institutionalism that has undermined the purity of Christ’s teachings. The karma of Christ’s crucifixion was not only Judas’ single act of betrayal. Nor was it expiated by that suicide. The act had been foretold long before the life of Jesus. And the karma persists even to this day. What is the karma? It is that world-involving tendency to take the highest spiritual teaching, the soul’s relation to truth and God, and to redefine it in such a way as to control those who believe in it. The Church has consistently kept a tight rein on what it is pleased to call “Christian” worship. It has persecuted what it calls “heretics.” It has even persecuted its saints. Thus also did the Jews, long before Jesus, for they considered their saints (whom they called “prophets”) threats to the status quo. While the saints (or prophets) were alive, they were persecuted. Once they were safely dead, their persecutors claimed credit for their holiness. The Christian Church, also, has insisted that there could be no revelation since New Testament times; that the final declaration of truth can be found only in the Bible. Thus, the Church avoided the need to deal with any influence that might pulverize its rigid theology. The Jews, of course, have refused to accept Jesus even as a prophet, for Judaic theology was already ossified by New Testament times. Had there been openness in the time of Jesus, there would never have been a Christian religion. Jesus himself never said he’d been sent to start a new religion. Rather, what he told people was, “Think not that I am come to destroy the law, or the prophets: I am come not to destroy, but to fulfill.” (Matthew 5:17) The first Christian, as has been well said, was not Jesus Christ, but St. Paul. It is unfortunately common in this world for tradition to be built up, like a stone wall, to enclose its tenets, saying, “This much we accept, and no more.” That was what Yogananda meant in saying that the teachings of Jesus Christ have been crucified daily. The spirit of Judas lives on, vitalized by the churches themselves. Interestingly, Yogananda himself was aware of, and even valued, both sides of this issue. He was not anti-authoritarian, as one might expect from the fact that he prized inner freedom so highly. He only wanted people to give supreme recognition to divine, not merely to church, authority. Thus, Yogananda’s statement that the churches have crucified the teachings of Christ by “churchifying” them cannot mean that he faulted them for acting according to their sincere understanding. What he faulted only was their narrow vision, and their determination to impose their narrowness on others. In India, this danger is avoided by the general recognition that true saints revitalize religion, and bring to priestly understanding the fresh air of direct, inner realization. The emphasis of early Christians on the importance of Self-realization was first condemned by the Church as heretical, then persecuted, and finally, in time, buried. Writings that emphasized inner communion with God were determinedly destroyed, and “true” (which is to say, formally recognized) Christians were exhorted to heed only outer authority, and to engage only in outer ritual. This was the churches’ act of betrayal. It wasn’t until the Twentieth Century that long-buried texts were discovered at Nag Hammadi. Though scholars at first kept them from the public eye, they were obliged at last to release them. People who have scrutinized those texts declare that they reveal something quite unexpected: that the ancient, so-called “Gnostic” emphasis on direct communion with God, so long dismissed as heretical, was far more important to early Christians than had hitherto been thought. Indeed, from what Yogananda said about “original Christianity,” the teaching of the early Gnostics was probably—when stripped of its later distortions—the original, true Christianity. Webster’s Third International Dictionary, published in 1961, when the contents of the Nag Hammadi discoveries were still being debated, out of sight of the public, defines Gnosticism as “The thought and practice of any of various cults of late pre-Christian and early Christian centuries declared heretical by the Church and distinguished chiefly by pretension to mystic and especially esoteric religious insights, by emphasis on knowledge rather than faith, and by the conviction that matter is evil.” The Oxford American Dictionary, published in 1980, does not even contain the word “Gnosticism,” nor any word related to it, such as gnosis or gnostic. If we could go to Jesus himself, there would be no need to look to scholars for explanations of his “original teachings.” Nor is there any need now to go to scholars for explanations of “Gnosticism,” about which present-day information is in any case vague, since we have Paramhansa Yogananda’s explanation of the original teachings of Jesus. For Yogananda was himself a great master. However, the issue here is not even whether Yogananda’s explanation was correct. Rather, it is that, since he did explain them, his disciples have a spiritual duty to abide by that explanation. In early Christianity, disciples who wanted a personal, inward relationship with Christ and God were persecuted by an institution that was determined to subject them to its control. The Church insisted that, if people’s emphasis on a direct relationship with God were not brought under rigid control—of course, in time it was suppressed altogether—the Church would lose any say in what practices were permissible. Who, then, the Church “Fathers” asked, could be certain what the teachings of Jesus really were? The solution they settled on was to ban as “heretical” the claim that anyone could speak—as Gyandev did—with inner, God-given authority. Authority became vested in the pope. Martin Luther’s Reformation caused Protestants to invest it in scripture itself. This, however, was a disastrous development, for it removed altogether the possibility of a wise, living authority, and led inescapably to the conclusion that truth depends on majority agreement. Thus, any interpretation of scripture is admissible, provided only that enough people fancy it. I see some justification for self-defense, when one is under attack. I can see none for destroying people whose motives are pacific and harmonious, and who merely want to serve God as they are guided to do from within, and as they are able. Kamala Silva, for example, wrote a beautiful book of reminiscences on her life with Paramhansa Yogananda. She was denounced by SRF, not because the book itself was objectionable, but only because it was written without SRF’s sanction. Many such examples might be cited. Perhaps it is enough to cite the fact that I myself was denounced without being given an opportunity to defend myself, that I had projected onto me motives I knew were not true, that my right to continue serving my Guru either within or outside of the organization was denied, and that I have been persecuted for more than forty years because I wouldn’t simply turn my back on them, as most people in my shoes would have done. Their accusations against me are based entirely on the fact that my continued devotion to my Guru, and to his teachings, is an embarrassment to them. They have shown themselves to be more concerned with saving face than with compassion, or with truth. SRF would like to say that I have changed the teachings. In fact, it is they who have changed them, and in some respects fundamentally. Unknowledgeable people have asked us, “Why did Ananda take Krishna off its altars?” Ananda never took Krishna off its altars: SRF added him! Most people are unaware of the numerous ways SRF has changed Master’s work during Daya Mata’s presidency. The addition of Krishna to its altars is at least understandable, since Yogananda, and Lahiri Mahasaya before him, said that Babaji was Krishna in a former life. Yogananda himself wrote it that way. SRF added an “a” in the middle of it, thus: Paramahansa. Both spellings are encountered in India. The problem with that extra “a,” apart from the fact that in Yogananda’s printed signature it has necessitated copying another part of the same signature—a glaring forgery—is that it also forces Westerners to mispronounce the word. For with all those “a”s staring at them, they feel the need to linger on the middle one as if gathering strength to move on to the finish. An Indian, on the other hand, sails over that “a” as if it didn’t exist. That is to say, most Indians don’t pronounce it at all. Particularly offensive to me personally, however, is the fact that the change, which Tara Mata [a powerful member of SRF’s board for many years] accepted on the advice of a pundit in India, showed Tara herself willing to take a stranger’s word over that of her own Guru. To me this shows her inclination, already evident from other statements of hers, to belittle Master’s linguistic ability, from a tendency to pride herself on her own. And this pride of hers is worrying, when one thinks of the editing she did on his works during her final years. These are all minor points, however, relatively speaking, in view of the many and much graver changes SRF has introduced into his books, teachings, and policies. Autobiography of a Yogi has been subjected to so many changes that Ananda, having won from the courts the right to republish that book, has felt it a duty to make the first edition once more available to people. These are examples, only, of the kind of alterations I mean, all of them intended to increase the authority of Self-Realization Fellowship in the dissemination and practice of Yogananda’s teachings. Another quite amazing change is the exclusion of at least a quarter of his poem, Samadhi, from the Autobiography. Two chapters ago I pointed out the drastic re-editing Tara did on Whispers from Eternity. That, too, must be listed among the substantive changes SRF has sanctioned. A word that is frequently used by SRF is “the blueprint”—as if Yogananda had sat the directors down and dictated to them his exact wishes for the work. He did nothing of the kind! “The blueprint,” he used to say, “is in the ether.” The pattern “ordained by God” (as he expressed it to Dr. Lewis) remained for his disciples to work out. Even in the responsibilities he gave me personally, which were considerable, he left it mostly to me to tune in to his will and apply it according to my own ability to perceive. If I needed help, he supplied it, but his way with his disciples was to help them develop their own intuition. 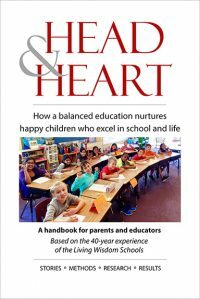 The so-called “blueprint,” then, is simply an organizational ploy for exercising control. 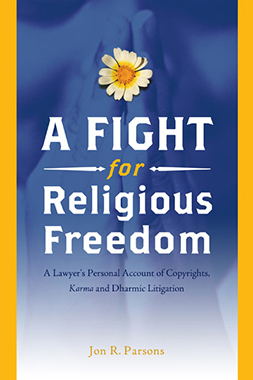 In 1990, SRF instituted a lawsuit against me and Ananda, claiming it had a monopoly on its name, and the right to prevent me from quoting anything of Yogananda’s (my own Guru’s!) without their permission. At the present writing, January 2001—nearly eleven years since the suit was filed—the case is not yet completely over, though we’ve won almost everything. So far, SRF has forced us to spend some five million dollars in defending ourselves. Could we have simply reacted to their charges by ignoring them? People occasionally ask us this question. The simple answer is, No. How we wish it had been possible! SRF took their suit to the courts of the land, demanding legal sanctions against us. To ignore them would have meant forfeiting the right to continue serving our Guru as his disciples. To submit would have been to admit publicly that they alone have the right to speak on his behalf. It would have meant surrendering any such right, ourselves. SRF’s leaders have done their best to win by bringing us to financial ruin. In the process, they have used endless delaying tactics, and caused us to spend more and more money. Every time they’ve lost a point, they’ve appealed it—ineffectively, for the most part—to the higher courts. So far, the outcome has been quite different from what they intended: They have lost the right to a monopoly on their name. 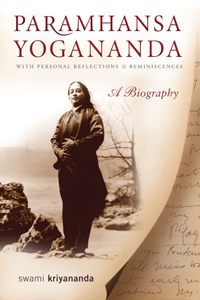 They have lost their claim to ownership of Yogananda’s writings. Ananda, meanwhile, has been like David fighting Goliath, for SRF is enormously wealthy, and Ananda simply is not. Still, we have so far won almost everything. But the struggle, unfortunately, goes on. Will it go further, after we win everything? Are there other ways they can persecute us? The answer is in God’s hands. We are open to His will, no matter what tests He sends us. In 1997 I wrote Daya Mata to say that the Judge had declared, finally, that he was going to give us both an opportunity now—as he put it—”to practice your own teachings! You’ll have to decide these last matters for yourselves.” In my letter to Daya I wrote, “Ananda has no desire to gloat over your defeat. We’ve no wish to declare ourselves victorious, for that would imply that you were the losers. How much better it would be if both of us could declare to the world, ‘We’ve agreed to the following, . . . .’ We could list the points on which we’d agreed, so that what emerged would be perceived as a joint agreement between us.” This would, I said, demonstrate harmony between us as fellow disciples of the same great Guru. Daya Mata agreed to meet us in Pasadena. It was a wonderful reunion: harmonious, loving—an outspoken recognition of the deep bond between us. Always my dream had been that we would work in harmony together, spreading Master’s mission of love. Ananda’s view of the teachings, however, seems never to have been the same as SRF’s. This fact was revealed clearly by what followed that meeting. Daya has always seen the teachings in terms of centralized control, whereas I have always seen them in terms of people’s spiritual needs. Thus, even though our meeting in Pasadena was harmonious, SRF assumed from the love we expressed that we intended to cede back to them everything we’d gained in the case. To us, the construction they placed on our love was hardly believable. Daya Mata said to me at that meeting, with reference to their persecution of me, “It has never been personal.” Needless to say, the person being persecuted is not so easily inclined to see that persecution impersonally. Still, I know what she meant. The issues involved are, in her mind, more important than any individual’s life and reputation. A dubious claim, of course, in light of Yogananda’s statement, “Only love can take my place”! I’m reminded of a movie in which a lawyer comments on some villain’s threat to destroy Los Angeles: “I think we need to define what is meant by ‘destroy.’“ Jesus Christ said, “He that is faithful in that which is least is faithful also in much; and he that is unjust in the least is unjust also in much.” (Luke 16:10) The saying, “I love humanity; it’s my neighbor I can’t stand!” seems fitting in this context. The Catholic Church has used a rationale similar to Daya’s in its explanation of the Inquisition, which it still justifies. A recent Vatican item in a secular newspaper in Italy praised Torquemada on the anniversary of his birth—Torquemada, I ask you! the “butcher of the Spanish Inquisition.” It described him as a humble, devout monk whose only desire was to protect the faith. Nothing personal in that, of course! When Torquemada burned people at the stake, we were asked to believe that he did it in God’s name, that his was an act of love—for the Church, of course, not for human beings, but anyway without animus (so the Church claims) toward the sufferers he tortured and killed. Such is the story. If one steps on an ant, the act is probably quite “impersonal.” Still, one wonders how the ant sees it. SRF, however, has stepped on this particular “ant” with such grim determination that it makes the stepping itself seem directed with great and very personal feeling. Is it true that SRF’s persecution of Ananda has been impersonal? Hardly! Daya Mata wrote me that it has all been to defend a principle. What principle? No mere institution can be a principle! A principle is by very definition abstract. Their exercise of hegemony, too, reveals considerable personal attachment. Much has been said and done by SRF and its members to discredit Ananda—all quite impersonally, no doubt! We ourselves, however, have had to fight for our lives. If Master had wanted the organization to be his entire spiritual legacy, I would sincerely embrace it as such, aware that my own understanding, being human, cannot but be fallible. I cannot see, however, that their claim is supported by anything he ever said, did, or wrote. Wishing to demonstrate complete loyalty to my Guru, however, I actually offered two or three times to give Ananda to Self-Realization Fellowship. This may seem extraordinary for one in my position, but I made the offer not because I’d had any change of heart toward Ananda, and certainly not out of any sense of guilt toward SRF. Indeed, Ananda represents for me the culmination of my life’s work. It might also be fairly considered a vindication and a triumph for me personally, especially in light of the things Tara said against me. I offered Ananda to SRF with the simple thought, “This has never been my work. It is Master’s. If by any chance it should end up becoming SRF’s, I would relinquish it gladly.” To underscore my complete non-attachment I offered even to leave Ananda forever, and never give it a backward glance. Obviously, Ananda members themselves would have had to be consulted, and their feelings taken into account. As a formal proposal, therefore, my offer was contingent on the will of others, not only on my own will. The important thing then, to me, was that I be completely willing to leave everything, if such should happen to be my Guru’s will. What became of me personally thereafter would, I felt, be entirely in his hands. Daya once said to me, “It isn’t the good people of Ananda I have anything against. It’s Kriyananda.” To me, the only thing that matters is that we have the freedom to serve our Guru’s mission. SRF had raised me in the thought that the organization was his work. Ananda members, on the other hand, have never shared this scruple. I myself have seen from SRF’s very narrowness that the scope of his mission is far, far broader. Ananda, to us now, has been and always will be part of Master’s work—that is to say, of his overall mission. Our members are directly acquainted with SRF, for it is not very far from Ananda’s California communities and many have gone there. I have often said to people, “Visit SRF. See for yourselves, then draw your own conclusions.” Most of them have chosen Ananda, though I have not influenced them to do so. Their choice is not grudging—a sort of compromise, or necessary substitute for SRF. Many have told me, “I would never have become Master’s disciple except through Ananda.” Most of them add, “Their way simply doesn’t attract me.” In the eyes of God, I believe they are right to follow their soul-guidance. Still, I have given them perfect freedom to make that discovery for themselves. SRF’s denunciations of me have been surprisingly personal. They have denounced me to the courts as an “interloper.” They have attempted to defame my character, my discipleship, my spiritual and moral integrity, my right to speak on behalf of my Guru. I’m sure they feel, however, that none of this is “personal.” They have repeatedly rejected my attempts to bring unity between SRF and Ananda, but have not shown the slightest qualm about trying to steal Ananda members, or even Ananda itself, away from me whenever they’ve seen a hope of fomenting trouble between us. Do these attempts reflect Master’s counsel to Daya Mata, “Only love can take my place”? In my heart, and I’m sure in the hearts of all Ananda members, there is deep love and fellow-feeling for the members of SRF: for its renunciates and lay-members alike. We deeply desire harmony with them, and would willingly forget all past hurts unhesitatingly in the name of love. If truth is needed to clear the air—and such is presently, I believe, the case—we speak it with sorrow, and with unchanging love. If by any chance their efforts to destroy us should prove successful, we would love them still. Until now, however, our efforts to win them with love have meant only a hardening of their animus toward us. I cannot but think that the consequence, for them, has been their spiritual and institutional loss. One point stands out, however, in their efforts to undermine Ananda. If a person seeks victory by honorable means, it may be that he is merely mistaken, in which case he cannot be held spiritually culpable. If, however, he seeks victory by dishonest and underhanded means, there can be no justification for his actions. In such a case, indeed, he can only be considered dishonorable. SRF has lied. Daya Mata herself has lied. Daya Mata has asked me, too, to lie in order to protect SRF’s name. The tactics their lawyers have used, which SRF has endorsed, have been what other lawyers themselves call “despicable.” This aspect of the story is so sordid that I cannot even bring myself to describe it in detail. There is another instance, here, of karmic repetition. The early Christians are known to have gathered into small, spiritual communities—”intentional” in the sense that their members shared the same beliefs, practices, and ideals. Why does history tell us so little about those communities? From all indications, they were successful. The inevitable conclusion, surely, is that they were suppressed along with the gnostics. Indeed, autonomous communities can only have been considered a threat by the Church in its determination to impose control on its members. It is for similar reasons, surely, that SRF is not happy with Ananda’s existence. Since communities would certainly have been inconvenient to the newly organized Christian Church, it seems probably for this reason that references to those early communities were suppressed, along with the gnostic writings. Yet what could have been more natural than for Jesus to want people to live together in communities, practicing together the teachings he had given them? At any rate, Paramhansa Yogananda himself urged people all his life to form communities. And SRF, like the early Church, has set itself against this idea. Daya once said to me, when I raised this subject, “Frankly, I’m not interested.” In 1988, to celebrate our twentieth anniversary, a group of 200 members went from Ananda to visit SRF’s main centers in southern California. On the Encinitas grounds, the nun in charge, Sister Shanti, stated to a group of us, “Oh, I know, many people have tried to start communities, but none of them have succeeded.” Two hundred people, celebrating twenty years of successful existence, and she could say that to us! Her very statement makes it clear, however, that SRF has no serious intention of ever starting the communities for which Master campaigned so ardently. Yogananda himself tried to start a community in Encinitas. His hopes were not destined to be fulfilled during his lifetime, and I cannot help thinking that one reason the venture was abandoned was owing to resistance by some of his monastic disciples. Even so, until the end of his life he kept urging people to form communities. His last-known plea on the point came only four months before he left his body. Kamala Silva reported it in her book, The Flawless Mirror, from a conversation she had with him. It has been my own lot to fulfill Yogananda’s communitarian dream. Ananda now consists of six communities: five in America and one in Italy, with a seventh under way in Rhode Island. An ancient karmic pattern is re-emerging through Ananda’s striking success story: a repetition of the trend begun long ago among the early Christians. I’ve pointed out SRF’s attempt to freeze the mission of Paramhansa Yogananda. SRF seeks to exercise rigid control over its members, who go along with that attempt in the sincere belief that such was Yogananda’s desire. His wish, certainly, was that his disciples love one another and not fight together. I myself have been “turning the other cheek” for decades. Can I continue to do so now with integrity, in the face of renewed attacks by them? Master told us not to be doormats for others. Self-respect, and respect for truth itself, demands that I defend myself and Ananda—with love, yes, but firmly. What Ananda stands for is an attempt, paralleling that of the Gnostics and the early Christians, to simplify matters, and to center the teachings in the individual’s own Self-realization. To Daya Mata, we and everyone who disagrees with her are—to quote a favorite expression of hers—”pipsqueaks.” In my belief, and Ananda’s, all of us (including Daya herself) are children of God, heirs in equal right to soul-freedom in Him. Again, there is a growing insistence within SRF that the strictly monastic life is the only way to serve and spread Yogananda’s teachings. Many of his close disciples, however, were, or had been, married. Suppression of non-monastic communities is another indication of a historic karmic pattern. The struggle between inner spirituality and “churchified” spirituality is being repeated in the struggle between SRF and Ananda. I myself deeply believe in the monastic ideal. I too am a monk, and, despite many attempts by SRF and its members to deride my monastic calling, I am firmly committed to it. Monasticism sets an example to devotees everywhere that the spiritual life must be founded at least on inner renunciation. I have, however, seen a measure of arrogance among renunciates in their calling that I heard Yogananda himself also deplore. In about 1970, some of the members of Ananda expressed a desire to start a monastery. Though I encouraged them, it was with trepidation, for I realized that men and women living in the same community would probably not succeed in persevering in that calling. In fact, the monastery did not endure permanently, at least in that form. What came out of it eventually, however, was a new kind of monastic order including householders dedicated to the traditional monastic ideals of non-attachment, simplicity, service, and self-control. Such a community, I find, is an inspiration to people everywhere, at a time when most monasteries in the world are empty. It inspires, moreover, in a way that communities that are exclusively monastic, in the traditional sense, have not achieved, or at least are not achieving nowadays. People at every stage of life are encouraged to be devotees wholeheartedly. This pattern of life was first established by Lahiri Mahasaya. Paramhansa Yogananda approved of it, and, indeed, recommended it for most people. I had to set the pattern myself—such, it seems, has always been my job at Ananda—for “monastic householdership.” Seeing many Ananda members burdened with feelings of guilt that they couldn’t be renunciates, I deliberately chose marriage for myself. This step was of course, for me, a serious risk, but I felt that I could accept the married state now without losing my inner spirit of renunciation. My marriage completely changed the community. Everyone, since then, has felt a pure dedication to God and to doing God’s will. Our teachers and ministers, householders all, are the best I’ve encountered in any spiritual community. As for myself, God saw to it that the marriage didn’t last. I am grateful for what I gained from it. I am grateful He took the burden from me. At no time, I am glad to say, did I feel any personal attachment to it. I was, am, and always will be a monk at heart above all. Ananda has already broken many karmic patterns of the past. A new pattern is emerging instead—one of personal spiritual freedom, similar to the system since ancient times in India, where no organization tried to control people’s spiritual quest. In India, far more so than in the West, the purity of the spiritual teachings has been maintained by the spontaneous devotion of sincere individuals. Above all, it has been maintained by the repeated manifestation on its soil of great saints. India’s is the final, complete disproof of any claim that an organization is needed to uphold the purity of high teachings. 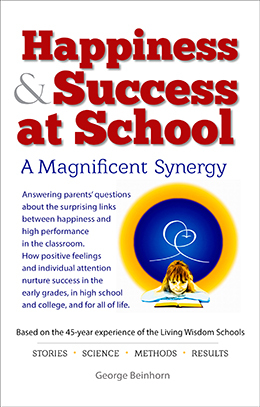 Ananda’s, then, is a success story: gloriously so! Many thousands of lives have been changed, even by simple contact with it. I never forget, however, where that success comes from. It comes not from this simple, mere human being, but from God, and from the blessings that fill our hearts from our great gurus.